It was classified as an economy car with a suggested retail price of $1,879, and as a 4-seater hatchback, at $1,959, with an opening rear window. It was just slightly longer than a VW Beetle, but weighed 800 pounds more. 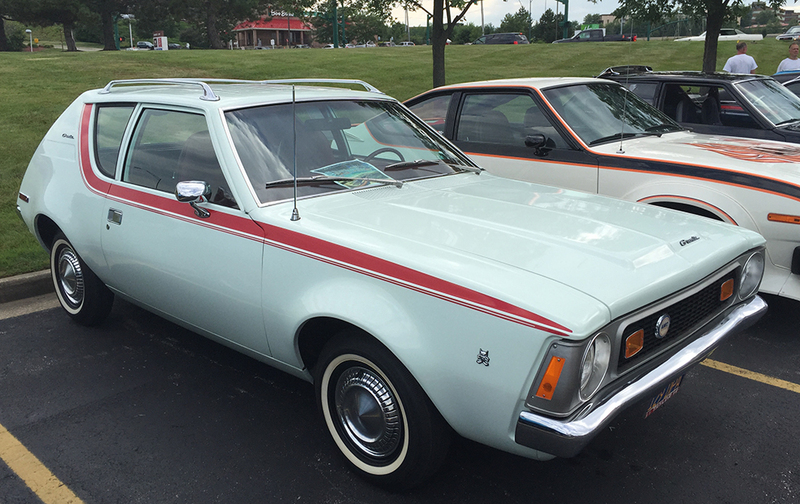 Time magazine declared the 1970 AMC Gremlin to be one of the top 50 Worst Cars of All Time. It noted that the heavy 6 cylinder engine was too big for the car and it was choppy and had horrible suspension. About it’s looks, it described it as “one of the most curiously proportioned cars ever, with a long low snout, long front overhang and a truncated tail, like the tail snapped off a salamander.” It makes many appearances in movies where it usually is the subject of jokes and represents the cheapest, worst car that one could buy. Performance did improve over time. By 1977 it had a 0-60 time of 12.6 seconds and the suspension and gearing ratio made it feel peppy in city traffic. It had good gas milage and a very large gas tank, making it good for long road trips.